Advantech Industrial Display Kit series provide 5.7"~31.5" industrial LCD panels, outdoor displays and touchscreen displays which support sunlight readable and resistive touch functions, and are proven to work with all Advantech embedded platforms. Advantech IDK-1000 supports 250~400 nits brightness which is ideal for indoor applications while IDK-2000 supports 1200 nits high brightness - perfect for outdoor applications. 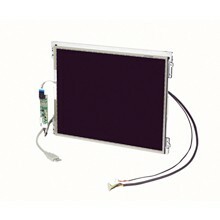 To better fulfill customers' needs, Advantech not only offers various sizes of industrial LCD panels, outdoor displays and touchscreen displays, but also customization services like: Backlight Enhancement, Touch Panel Integration, Optical Bonding and LVDS Cable Customization Services. Advantech IDK-1000 series provides various sizes of industrial grade LCD's such as LCD panels, touch panels and touch screen LCD's with ruggedized, high brightness panels with wide temperature and longevity support, which are proven to work with all Advantech embedded boards and systems. To better serve our industrial customers, Advantech also offers flexible and on-demand technical support and panel customization services as follows: Backlight Enhancement, Touch Panel Integration, Optical Bonding Services and LVDS Cable Customization Services. The Advantech IDK-2000 series offer Resistive Touch Screen are available in 1200-nit industrial grade LCD panels, touch panels and outdoor displays, and an LED driving board and optional resistive touch solution. 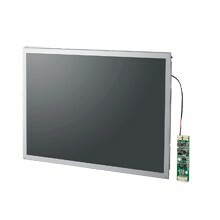 Industrial grade LCD panels and touch panels range from 8.4” to 31.5”, the series supports 1200-nit high brightness and wide temperature operation and use 20% less energy, perfect for indoor or outdoor displays.